Thoughts on the Upcoming Pokemon Switch Game? Discussion in 'Let's Go, Pikachu & Eevee' started by ((JAWS)), Jan 30, 2018. On a different note I wonder if the other gyms got makeovers? I have a hunch Blaine's Gym will make use of the volcano that appears on the map. Redstar45 The anime canon cop ! Pocket Monsters is still rock ! RED/SATOSHI/ASH . GREEN/SHIGEUR/GARY . BLUE/SORA/AVA. Loove all versions of red and Ash ! Fang-Tang's reboot of the Pokemon anime in doujin which stay fathful to the classic pocket monsters rbgy era and Shuďõ-san novel pocket monsters the animation series vol 1 and 2 https://pocketmonstersrimeiku.tumblr.com please do check it out ! Just look at that city skyline in the background from Sabrina's battle. I know there all just the same buildings but it really makes you want to explore an open world Pokemon adventure in a third person view, from the skies, to the ground, across the oceans. On a different note, I wonder if that actually takes place on top of the gym. You can see a "virtual" style floorground on the edge of the roof. Of course I think that virtual style is also used for Psychic gym leaders, especially Sabrina. Mr. Oshawott and Ducolamia like this. I just realized that. Doesn't Sabrina's Gym take place in one building? I guess due to limited technology they couldn't show it being in a skyline even if they wanted too. I am glad they are revamping the gyms because I'm really liking the looks of them. The gym leader designs and elite 4 designs are okay too. Not the biggest fan of Sabrina as I prefer her HGSS design, but it works. I really love Lance's design though. Really nice red and black with him. If you deny me, I will deny you in front of my Father at the gates of Heaven." I believe in my Savior Jesus Christ. In the same way a chunk of the Pokemon anime fanbase see a anime connection with everything. In the context of Let's Go, it's understandable to make connections to the anime. It's based off of Yellow, which was, in turn, based off the show. There is no such link between these games and the manga to justify most of the stretches you're trying to make. Also I believe your talking about Lance's pose that you don't find right. I don' think so. The other artwork we see of him, in a different pose, also looks off to me. It's mostly his face, I think. Him just looking way too young is a big part of it. On a different note, it seems majority of the people are interested in battling with Lance. I thought it would be a strong tie with Lorelei. Not surprising. Dragons are awesome. Join Ash and Pikachu as they travel to the Tenno Region, a region known for its advanced space program and technology. Along their way towards the Tenno League and Ash's goal of becoming a Pokémon Master, they'll encounter new Pokémon, new enemies, such as the evil Team Planetary, and, of course, a certain trio of Team Rocket members, along with friends new and old. It's an out-of-this-world adventure! Coming Soon: Detective Pikachu Tie-In Special! 1. You say that but there are a couple of problems with that vague argument. I've rarely made stretches here and there in the Let's Go thread. Everything I say, even that picture of the campfire, has a reason to it. Outside of the nostalgic connections I made, much of the Adventures connections are quite reasonable and helped contributed to the overwhelming change in opinion, most of them not being started by me but are commonly started and shared by many of the Pokemon fanbase. Also no offense but it seems like there is exclusionary bias against the manga in your argument. Particularly how you over-exaggerated the stretches and say there is absolutely no connection between the games and manga in no way, not even in the vague ways that have fans of the Adventures manga help contribute to the overwhelming change in opinion that Let's Go Pikachu and Eevee might be really good games. If your going to bring this up again, please be more clear and weighted in your words otherwise someone might get the wrong idea, regardless if there are some truth in your words. 2. Is it the thicker eyebrows lol? 3. I'm not surprise. Lance is a favorite throughout the series. 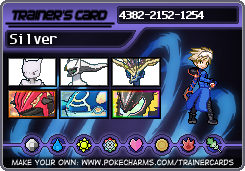 I would like to battle Lance but I expect his LGPE team will be similar or same to his RBY team. Would be better off if he swapped a Dragonair for an Alolan Exeggutor. Sequel to the original Pokemon Yellow, like Black and White 2. Or, similar to Fire Emblem Gaiden to the original Fire Emblem, it's a side-story of showing what the Let's Go protagonists have been doing while Red, Blue and Green are already far into their journeys. 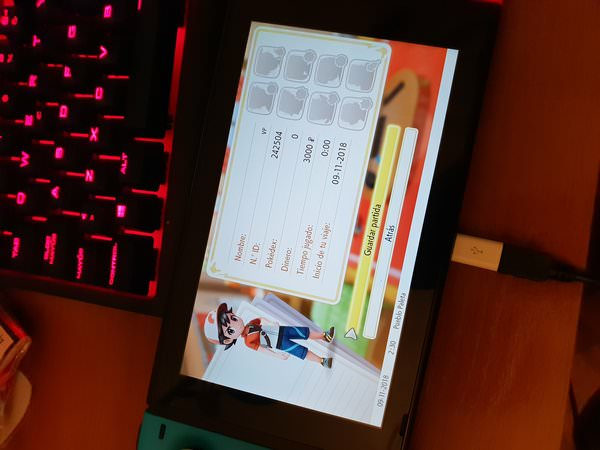 I've rarely made stretches here and there in the Let's Go thread. Everything I say, even that picture of the campfire, has a reason to it. I first brought this up when you suggested that the Elite Four artworks look like they're manga counterparts. Maybe they were similar in their design, but as there is no solid connection between Let's Go and the manga, we can safely assume any similarities are purely coincidental. Therefore, it's kind of stretch to think there's a connection between the respective arts. Or, in that last post you just made, we have seen absolutely nothing to imply that this game has a story any significantly different than Yellow Version. You just arbitrarily decided that it would make sense for Game Freak to be basing this game off of the manga. I know you're just speculating and pointing out hypothetical scenarios, but you're still taking leaps in your logic to get to that speculating. Outside of the nostalgic connections I made, much of the Adventures connections are quite reasonable and helped contributed to the overwhelming change in opinion, most of them not being started by me but are commonly started and shared by many of the Pokemon fanbase. not even in the vague ways that have fans of the Adventures manga help contribute to the overwhelming change in opinion that Let's Go Pikachu and Eevee might be really good games. Care to explain what gave you that idea? Sorry, but that's a really bold claim to make. And even if that is the case, it doesn't really apply to the topic we're discussing. Manga fans having a positive impact on the game's reception, after the games are already completed, doesn't make it any more likely that Game Freak will base things in Let's Go off of the manga. Maybe, it might mean future Let's Go games might take some inspiration from the manga, but it doesn't apply to these games. Care to prove me wrong and give an example of a solid, non-theoretical, connection between the games the manga? Maybe, I honestly don't know. LilligantLewis and lolipiece like this. Apologies but I'm starting to think you misread a lot of information. 1. I think we both have different ideas of what a stretch is. 2. I never said GameFreak was basing it off the Yellow chapter, I specifically said that I'm using it as a scenario for comparison and to give a better idea in case someone might have the wrong idea again, such as previously how you misread comments indicating that the Blue/Green you thought people were talking about was the manga version. I made it pretty clear I wasn't saying it was literally the Yellow chapter. 3. That's not a bold claim, that's literally one of the major highlights of discussion right now to the point it appears to be, based on my observations, somewhat annoying for Leaf fans. 4. No one, not one person I recall, is saying that Let's Go is based on the manga in this section so far. Not completely, not even maybe. No one has said that. In fact the first time I saw someone mentioned this idea is you. 5. There are lots of solid connection but I will start with the one that is highlighted throughout the forums recently. The fact that the Adventures manga contributed partly to the change in opinion by contributing more to the Blue character than the games ever could causing a chain-effect of fans of the Adventure manga announcing their support to the new Let's Go series, in-turn the heavy use of the name Green being used and in-turn more news sites using that name over Leaf as well. I'm not saying it contributed hugely or small but it did contributed to it and this isn't a claim, this is a fact that can literally be seen in the YouTube channel right now as we speak. However here's the thing though. What your asking for isn't the problem. The problem is that you said that there is absolutely no connection between the games and manga. Your basically saying both theoretical AND non-theoretical connections, strong and weak connections don't exist in OVER 20 YEARS of GameFreak's relationship to the Pokemon Adventures manga. No offense but that is a VERY FOOLISH statement. 6. I'm going to bet it's the eyebrows. I think we both have different ideas of what a stretch is. A stretch is making a claim or assertions without and evidence or logical thought process to back it up. Would you disagree? I never said GameFreak was basing it off the Yellow chapter, I specifically said that I'm using it as a scenario for comparison and to give a better idea in case someone might have the wrong idea again, such as previously how you misread comments indicating that the Blue/Green you thought people were talking about was the manga version. I made it pretty clear I wasn't saying it was literally the Yellow chapter. You specifically said that "I have this crazy feeling that YOU, the main protagonist, is GameFreak's take on Yellow." This would imply that you think that Game Freak is basing their game's main character on a manga character. If I did misread, then you probably could have stood to word it better too. That's not a bold claim, that's literally one of the major highlights of discussion right now to the point it appears to be, based on my observations, somewhat annoying for Leaf fans. If we're talking about just this forum, I've seen no more or less negative or positive posts than before. There are a few people responding directly to your posts, making comments about the manga, but there has not been an overall shift, at least as far as I can tell. No one, not one person I recall, is saying that Let's Go is based on the manga in this section so far. Not completely, not even maybe. No one has said that. In fact the first time I saw someone mentioned this idea is you. Not the entire games, sure, but bits and pieces. You've already done that by suggesting that the Elite Four artwork of this game is inspired by the Elite Four artwork from the manga. There are lots of solid connection but I will start with the one that is highlighted throughout the forums recently. 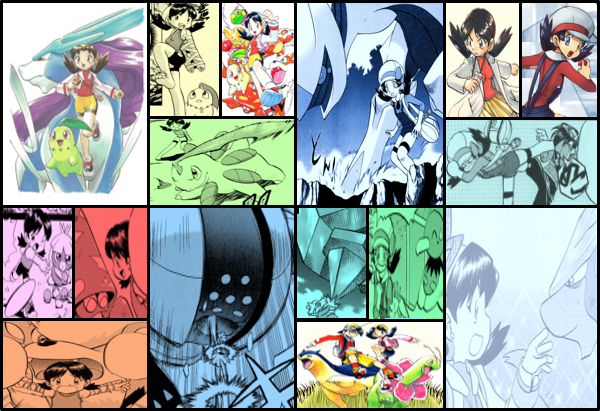 The fact that the Adventures manga contributed partly to the change in opinion by contributing more to the Blue character than the games ever could causing a chain-effect of fans of the Adventure manga announcing their support to the new Let's Go series, in-turn the heavy use of the name Green being used and in-turn more news sites using that name over Leaf as well. I'm not saying it contributed hugely or small but it did contributed to it and this isn't a claim, this is a fact that can literally be seen in the YouTube channel right now as we speak. As I already attempted to explain, that's not a connection at all. I am referring to actual connections that could have led to Game Freak taking inspiration from the manga. Something that would be the equivalent of Yellow Version being based directly off the anime due to the following Pikachu and in-game events referencing Ash. Fans being positive about an already made game does not change what references are and aren't made by that game. Manga fans being a positive about the game does not lead Game Freak to have official art from the game based off of art from the manga. The problem is that you said that there is absolutely no connection between the games and manga. Your basically saying both theoretical AND non-theoretical connections, strong and weak connections don't exist in OVER 20 YEARS of GameFreak's relationship to the Pokemon Adventures manga. No offense but that is a VERY FOOLISH statement. If that's the case, then it shouldn't be hard to give me an example, right? Give me an undeniably non-theoretical connection between the two, and I'll admit I'm wrong on this point. As I already attempted to explain, that's not a connection at all. I am referring to actual connections that could have led to Game Freak taking inspiration from the manga. Fans being positive about an already made game does not change what references are and aren't made by that game. Manga fans being a positive about the game does not lead Game Freak to have official art from the game based off of art from the manga. 1. A stretch is making a claim or assertions without and evidence or logical thought process to back it up. By that definition, practically all my connections and comparisons are not stretches. 2. I said that but I made it clear I meant your the new kid in Kanto, the fourth musketeer, not literally Yellow. So yes, you misread it. Actually I am, no offense, noticing a trend here of arguments based on misreadings. 3. Actually there are many posts here stating the manga's relevance from the recent trailer. However I will admit that it's partly my fault for the misleading sentence. What I mean is it's one of the major highlight of this forum currently and it's somewhat bothersome for Leaf fans across the world wide web, not bothersome for Leaf fans on Serebii. 4. I never suggested it. I said it was like an evolution between the pictures, something a couple people acknowledged because of both artstyles are very similar to Sugimori's work. 5. You should've made that clearer. No, there aren't any solid connections from the manga to the games but that still does not change the fact of the observed chain effect between the two and how my previous point is based on what you clearly said previously, connections between the games and manga from either side, vice-versa. Also I've never said official art from the games to be based off of art from the manga, what are you even talking about? 6. I've already given you the chain-effect example before but if you want another one, the unused female protagonists first concrete introduction in the manga of course, not the remakes. It's not a coincidence that she looks exactly like her remake and Let's Go counterpart. I'm going to be frank here but I feel like this discussion is going to be an annoying drag constantly slowed down because of constant misreadings mixed with obviously different opinions of what fits what, like for example, what fits your definition of a stretch. You stated a good definition but you failed to consider how, from different opinions, can fit differently in that definition you stated. From my point of view, you exact definition says that most of what I've said isn't a stretch, that my connections are claims or assertions with real evidence and logical though processes behind it. From your point of view however, your trying to argue based on your opinion, not your facts, that it does fit the definition of a stretch, that it is a stretch because you don't think there are any connections even though I have stated them. Actually now that I think about it, with all these misreadings, the fact that you mentioned that you thought I said the official art from the games is clearly based on the manga even though I have never said that makes me think that possible a good chunk of the examples you think that are a big stretch don't even exist because you may have misread them and that is apparently a consistent trend I'm saying in this discussion. So since we both don't like to waste precious time on such things, how about we leave it at whatever last-second response you had in mind as I am not going to continue this argument anymore. It's nothing toxic but it is boring me that it's slowed down by constant misreadings and corrections. This, admittedly, did all grow out of hand. I was just trying to point out the fact that you seem to jump at the absolute smallest chance to bring the manga up at any opportunity you can. Not saying that that's a bad thing, or something you shouldn't do, I was just calling attention to it. And also, for the record, I get the feeling that you probably misreading many of points as well. Maybe we were just having two entirely different conversations. I've already given you the chain-effect example before but if you want another one, the unused female protagonists first concrete introduction in the manga of course, not the remakes. It's not a coincidence that she looks exactly like her remake and Let's Go counterpart. Going to have to specifically contend this point though. You said it yourself, it's all based off of the original unused female protagonist. This character in the world of the games (who I will call Leaf until an official name is given) and Green from the manga are parallel products, not results of one another. Leaf was based off the character in the original art, not off of Green. Their similarities come from this parallel evolution, not from one being based on the other. Therefore there is inspiration from the manga in the games in this instance. Oof... ok so I've said this before, but I really don't think Game Freak cares about the manga even in the slightest. Manga sales are nothing in comparison to TV anime and even that's nothing compared to game sales. The manga is the bottom rung and the reason it's so crazy is BECAUSE Game Freak doesn't care if it heavily deviates from the games or anime. Shoz, You previously mentioned that Game Freak offers new information long before public release to the writers of Special as if they wouldn't offer that information to ANY project within the franchise. I'm sure even obscure stuff like PiPiPi and ReBurst got insider info my dude. As much as I would like more manga things implemented into the games (the outfits of characters created specifically for the manga have AMAZING outfits and I would love to see them added as clothing options), but those characters ALONG WITH all other elements of the manga are co-owned by Shogakukan, the publishing company that prints the manga so there's a lot of red tape there. The anime also has this issue, but again, it's a bigger cash cow than the manga. I like you, dude and I enjoy talking with you but your manga arguements just hold no ground. Sorry. You say that however... I disagree. There are several things wrong with your argument. First off, that is quite a bold assumption you made that GameFreak doesn't care for over 20 years of Pokemon Adventures history. Hehehe, your going into danger territory my friend. Don't make huge assumptions you can't back up. Second, You are actually absolutely wrong when it comes to sales information. You are talking about a best-seller manga that has sold around 150 million copes as of 2017. You are correct though it's small compared to the anime and from there, things get interesting. Third, you make quite a bold assumption that Pokemon Adventures, the second biggest long runner adaptation of Pokemon, is at the bottom of the ladder. Fourth, it may come to surprise you but what if, just what if GameFreak actually cares more for the manga being obscure, under-the-radar, then the ever popular anime that is constantly pushed down by it's own popularity? Now let me ask you something else. That was a what-if possibility. Not a fact, not an opinion, just a whati-if possibility. Now let me ask you another what-if possilibity. That GameFreak doesn't care about the manga and cares more for the anime above all else as it is their crowning money maker. You see where I'm going with this. You may state them like facts, but they are near-baseless assumptions. The difference between your what-if possilbiity and my what-if possibility is that the Pokemon Adventures manga has continued having over 20 years of silent but dedicated support. Fifth, As for the information thing. True, you are possibly correct but it doesn't change the fact that GameFreak acknowledges Kusaka's researching capabilities as the best among all the adaptations. Not familiar with the dealings to be honest. Interesting possibilities though. Apologies if I'm being rude but in conclusion, it is your argument that GameFreak cares little for the Pokemon Adventures manga that holds no ground. What you say about Shogakukan, anime sales and how information is shared may be true but none of it has anything to do with what you say about GameFreak's relationship with Adventures being almost non-existant. One does not simply say 20 years of research is at the bottom of the rung. In fact if you notice the patterns in GameFreak's storytelling, you may have notice that GameFreak has silently acknowledge the Adventures series more than you think. It's actually quite a fun topic comparing and contrasting the two medium stories. Third, you make quite a bold assumption that Pokemon Adventures, the second biggest long runner adaptation of Pokemon, is at the bottom of the ladder. Are you sure you want to call it that? I'm gonna PM you to continue this since I feel like we're VERY off-topic right now. Okey dokey but you see that's pretty much the reason what's wrong with your argument. The "evidence" doesn't really touch the subject, specifically it doesn't say Pokemon Adventures is at the bottom of the ladder or GameFreak doesn't care about it. Apparently, some in-game pictures are being released online due to early copies.